For Oe Number:8L0 953 513 G.
A6 2005 - 2011. 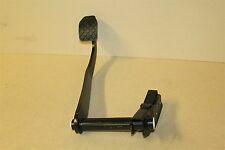 This is a brake pedal for the following cars This fits only cars with a manual gearbox. This is a new,genuineAudi part. Part number. Alternative part numbers. Looking for used car parts?. We have lots of spare parts listed, and about 500 000 spares in the warehouse! We are always willing to work out any problems. Warranty on electronic devices is void if identifying mark is removed or has sign of tampering. Audi A6 C5 A4 B5 Drivers Footrest Green. Donor Car: 1998 Audi A6 C5 Saloon 2400cc. The New and Used Audi Parts Specialist for all Audi models worldwide. Audi Part Number: 8D2 864 777 B. It may fit others. All parts are stamped & removal of the marks will invalidate your warranty. In the event that a part is supplied and proven to be incorrect or faulty, KENT AUTOPARTS must be notified within 48 hours. Clutches & Flywheels. We will always attempt to rectify the issue as fast as possible! 12 months warranty on all orders. Branches Nationwide. Eg, Vetech, Erst Klassig, Franzen, NK, etc. With this in mind, we will indicate what type of product you are looking at within the following guidelines. 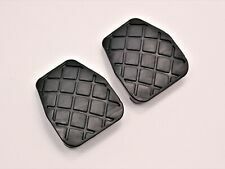 Drivers Left Footrest Foot Rest In Black. Trim Colour Rear Windows Front Windows Isle Of Man. If you are not happy for whatever reason, we want to know about it. Scottish Isles. Scottish Highlands. Audi A6 C5 A4 B5 Drivers Footrest Green. The New and Used Audi Parts Specialist for all Audi models worldwide. Audi Part Number: 8D2 864 777. It may fit others. 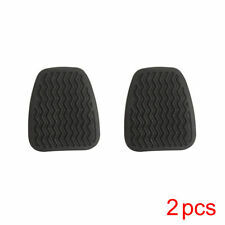 Audi A6 C5 A4 B5 Black Drivers Footrest FL. Donor Car: 1999 Audi A6 C5 Avant 2393cc. The New and Used Audi Parts Specialist for all Audi models worldwide. Audi Part Number: 8D2 864 777 E. It may fit others. Corsa D OEM clutch and brake pedal. Condition is Used. Some wear, see photos. Dispatched with Royal Mail 2nd Class Large Letter. Donor Car: 2001 Audi A6 C5 Saloon 2500cc Quattro Sport. The New and Used Audi Parts Specialist for all Audi models worldwide. Audi Part Number: 8D2 721 523 D. It may fit others. The New and Used Audi Parts Specialist for all Audi models worldwide. Audi Part Number: 8D2 721 523 F. It may fit others. Generic Notes on this Part: Fits Right Hand Drive Vehicles Only. Donor Car: 2001 Audi A4 B5 Avant 2500cc Sport. The New and Used Audi Parts Specialist for all Audi models worldwide. 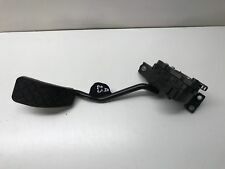 Audi Part Number: 8D2 721 523 E. It may fit others. The New and Used Audi Parts Specialist for all Audi models worldwide. It may fit others. Audi Part Number: Unknown. 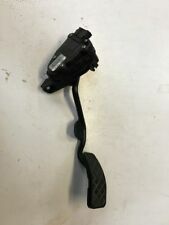 $AUDI A6 ALLROAD C5 2.5 TDI AUTO 2001 THROTTLE ACCELERATION PEDAL 6PV 007 770-09 / 8E2 721 523 E / Diesel HS HLO (2001) IN GOOD CONDITION. FULLY WORKING ORDER! MARKS OF USUAL WEAR. If You Need Any Other Parts, We Are Breaking: *AUDI A6 ALLROAD C5 2.5 TDI AUTO QUATTRO 2002 IN SILVER *AUDI A6 ALLROAD C5 2.5 TDI AUTO QUATTRO 2001 IN BLACK. Donor Car: 2005 Audi A4 B7 Avant 2000cc Sport. The New and Used Audi Parts Specialist for all Audi models worldwide. Audi Part Number: 8E2 721 523 E. It may fit others. Donor Car: 2007 Audi A4 B7 Avant 2000cc. The New and Used Audi Parts Specialist for all Audi models worldwide. Audi Part Number: 8E2 721 523 J. It may fit others. Generic Notes on this Part: For the petrol cars only. Fits Right Hand Drive Vehicles Only. Donor Car: 2003 Audi A4 B6 Cab 3000cc. The New and Used Audi Parts Specialist for all Audi models worldwide. The New and Used Audi Parts Specialist for all Audi models worldwide. Audi Part Number: 8E0 721 257 M. It may fit others. 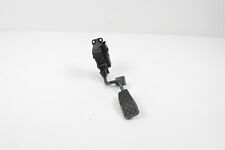 For Audi A4 A5 A6 Q5 HELLA Accelerator Pedal 8K1 721 523 New. 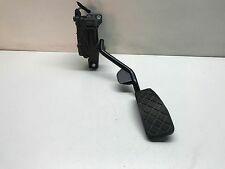 1 HELLA Accelerator Pedal. FAILURE TO PROVIDE INFORMATION WILL DELAY YOUR ORDER. for left-hand drive vehicles. Number of ports : 6. The New and Used VW Parts Specialist for all VW models worldwide. VW Part Number: 8E2 721 523 A. Donor Car: 2003 Audi A4 B6 Cab 3000cc. Generic Notes on this Part: For the petrol cars only. Fits Right Hand Drive Vehicles Only. Clutch Kits. Belt Tensioner Wheels & Bkts. 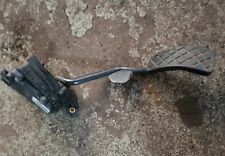 Brake Pedal Pad. Brake Callipers. Brake Discs. Brake Master Cylinders. Brake Pads. Suspension Ball Joints. The New and Used VW Parts Specialist for all VW models worldwide. VW Part Number: 8D2 721 523 B. Generic Notes on this Part: Fits Right Hand Drive Vehicles Only. It may fit others. 2001-2014 Honda Civic. 1984-1991 Honda Civic. 1984-1991 Honda CRX. 2002-2006 Honda CRV. 1979-2001 Honda Prelude. Size:As the Pictures Shown. Part Number:OE-8E0721173. Equivalent Part Numbers. This is an original quality part manufactured by Febi. Weight:0.06 kg. Electrical components may need coding and/or programming to the car. KMS Parts Number. Clutch Kits. Belt Tensioner Wheels & Bkts. Wheel Bearing Kits. BRAKE PEDAL PAD. Brake Callipers. Brake Discs. Brake Master Cylinders. Audi A6 sedan (4F2, C6) 3.0 TDI quattro 155KW 211HP 2004.05 - 2011.03. Audi A6 sedan (4F2, C6) 3.0 TDI quattro 165KW 225HP 2004.05 - 2006.05. Audi A6 sedan (4F2, C6) 3.0 TDI quattro 171KW 233HP 2006.06 - 2008.10. 2001-2014 Honda Civic. 1984-1991 Honda Civic. 1984-1991 Honda CRX. 2002-2006 Honda CRV. 1979-2001 Honda Prelude. Size:As the Pictures Shown. We would highly appreciate the chance to follow up with you if needed.